With Swamijis mangalasasnams, Vikasa Tarangini 10 Khammam conducted free BONE DENSITY TEST for women on 3rd Dec 2015, at Sri Venkataswara Swamy temple mamillagudem Khammam. 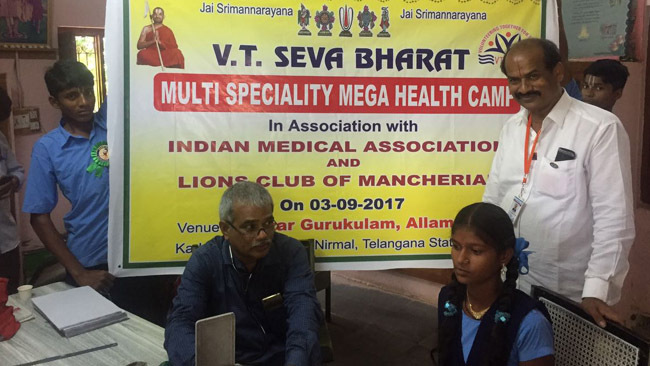 Sri Doddapanani Venkat Kumar garu and Pavani garu arranged the facilities required for the camp. About 100 people attended the camp and also free medicines were distributed to the people in need. People expressed their gratitude towards organisation for conducting such a great camp for the welfare of the women.